Sometimes you need a cooler out on the ice just so you can keep your food and drinks from freezing solid. Premium Coolers (like yeti) will typically cost you over $200 which is too much for most people. 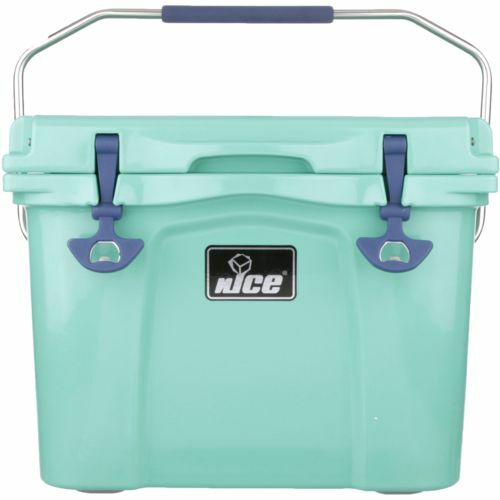 If you want a more reasonable price checkout this nICE Cooler for under $80 over at Academy Sports. It gets great reviews to boot! Own and use a nICE Cooler? Take advantage of this Ice Fishing Deal? Give us your two-cents in the comments below. Posted on January 11, 2018 January 11, 2018 by IFDPosted in Accessories, All DealsTagged 22qt cooler, academy, academy sports, cooler, nice 22 qt, nICE 22 qt Rotomolded Cooler, nice cooler, premium cooler.